Chernobyl. 30 years. The ongoing disaster: tons of links! Many of us have vivid memories from the time when the Chernobyl nuclear disaster occurred. April 26, 1986 (though of course notification about its occurrence was delayed – to its own people, & to the world). There remains a 30-kilometre “exclusion zone” around the site, though there are people who have chosen to return & continue living within that area & also, as I learned to my surprise recently, many people who now live outside the zone (many who were evacuated from the Pripyat area, to a new town), but who commute to the plant for their work. Nuclear accidents. They just never really go away, do they?? Fallout is forever, both literally in terms of what goes into the air, water & soils – and also in terms of long-term health consequences. Many children born today in the areas of highest fallout (Ukraine, Belarus & Russia) suffer significant health problems ... way above & beyond thyroid cancer (the only health impact ever acknowledged by the nuclear industry). Genetic damage comes down through the generations – as the people most affected by the Chernobyl & Fukushima nuclear disasters are learning firsthand. What many Canadians don’t seem to realize is, this could happen here. This could be us. 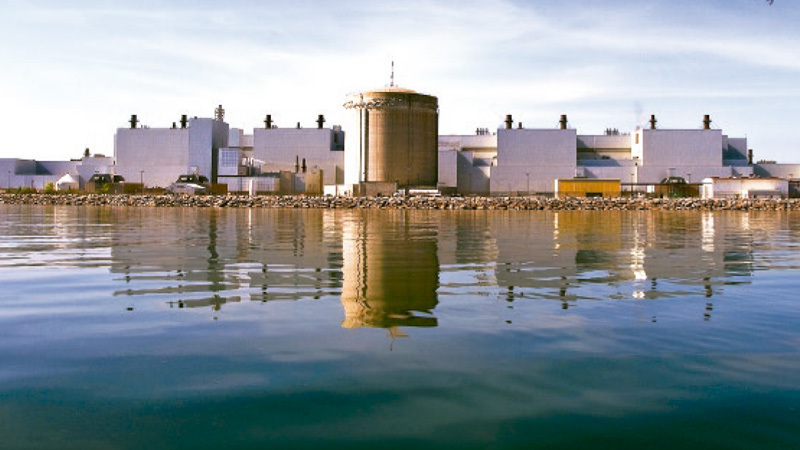 A catastrophic nuclear accident could happen at one of Ontario’s nuclear plants, poisoning air, water (Lake Ontario, for example; then, what would we drink??) & the soils in which we grow our food. I only wish it weren’t so. There will be at least 5 events in the days ahead, in the Toronto area, being held to commemorate the 30th anniversary of the Chernobyl nuclear disaster that began on April 26, 1986. Chernobyl + 30: A Look from the Inside, with nuclear researcher Lucas Hixson (1 hour, 23 minute YouTube) - visit to Chernobyl site; what is going on there now. Luke shares his insights about the radiological impacts & consequences that could re-frame our understanding of major reactor accidents. I learned a lot!